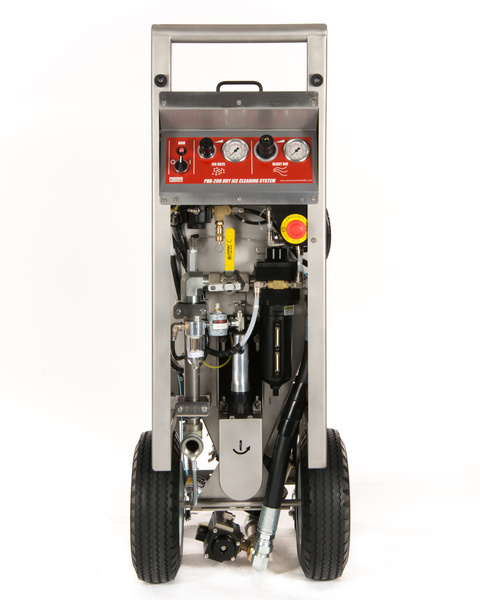 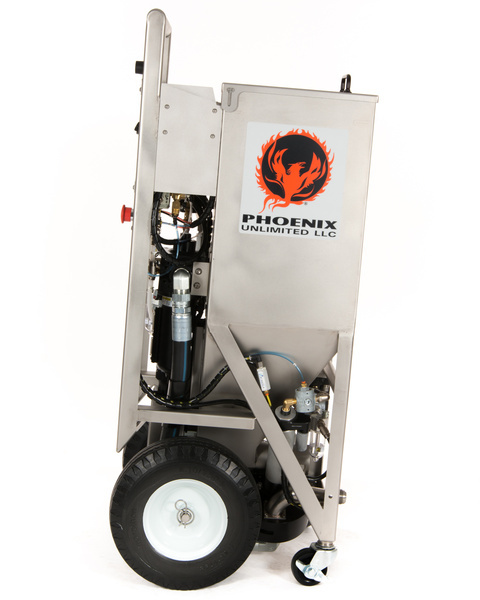 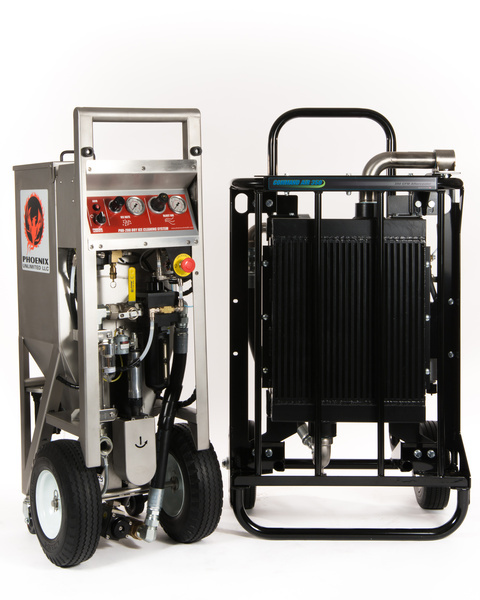 The Phoenix PHX-200 is the ultimate heavy duty, high pressure dry ice blasting solution. 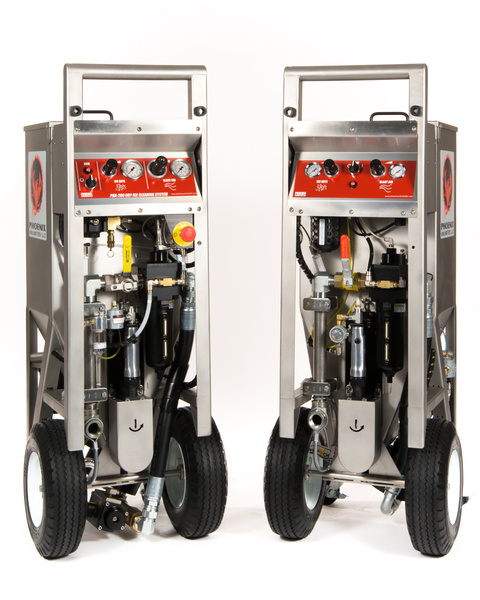 As the upgrade to the Phoenix PHX-150, this is a great high pressure all pneumatic option for the contractor grade user. 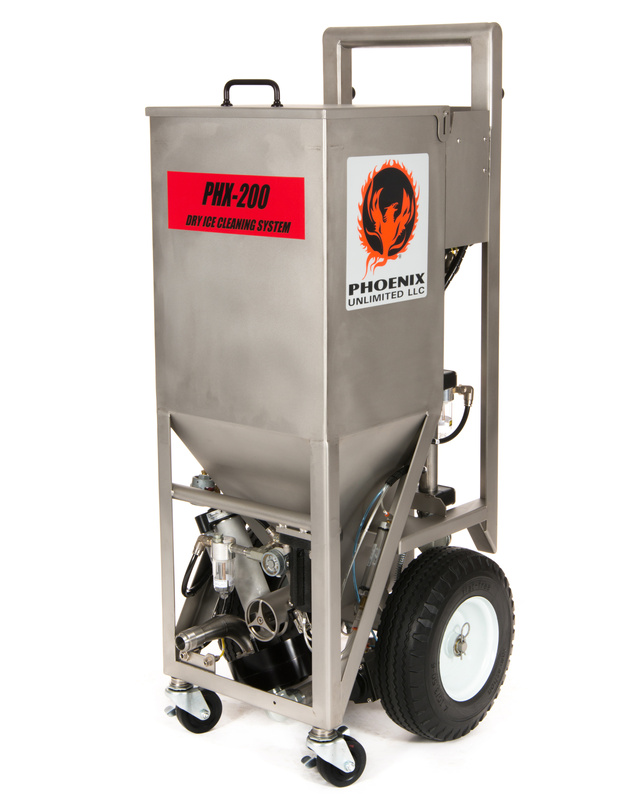 The PHX-200 is a "workhorse" that can tackle the most demanding applications due to its increased air capability and adjustable volume of dry ice usage. 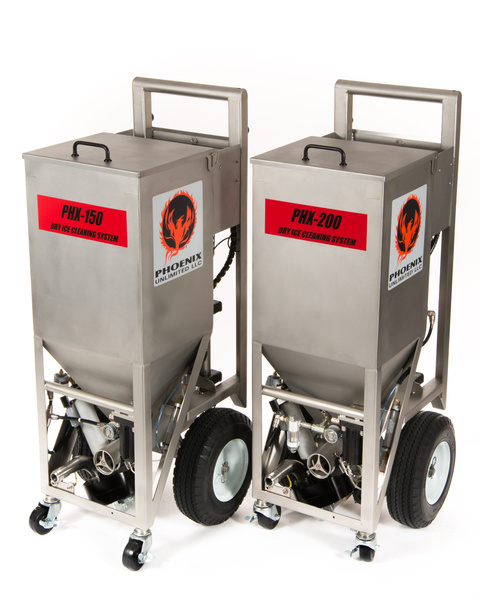 With a 100 pound dry ice hopper and minimal required maintenance this is the model of choice for major fire restoration projects or heavy duty plant applications. 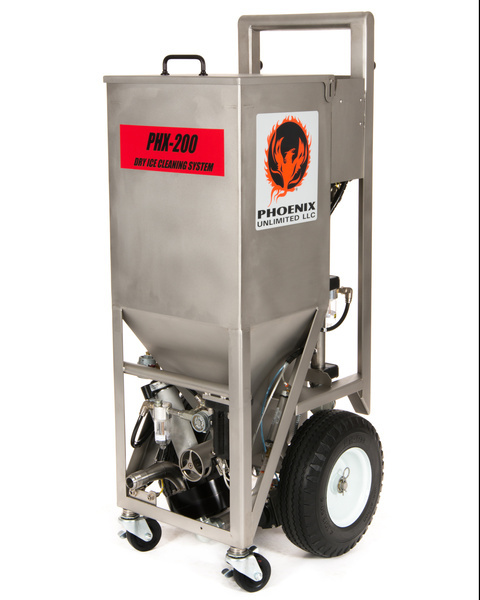 In addition, this model has enhanced safety features not found on the PHX-150 model. 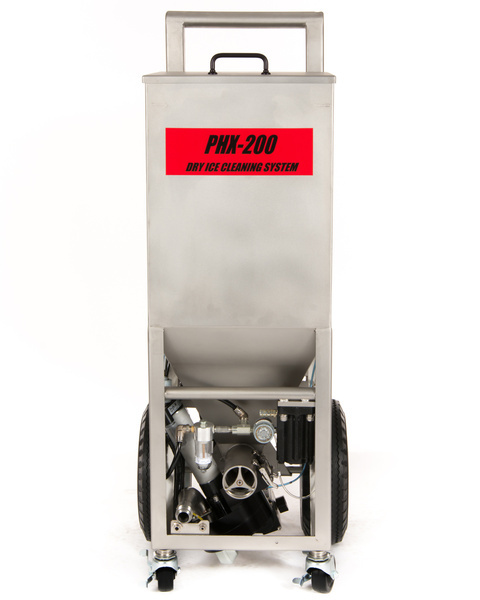 The PHX-200 includes a universal high low blast hose, upgraded gauges, and emergency stop button. 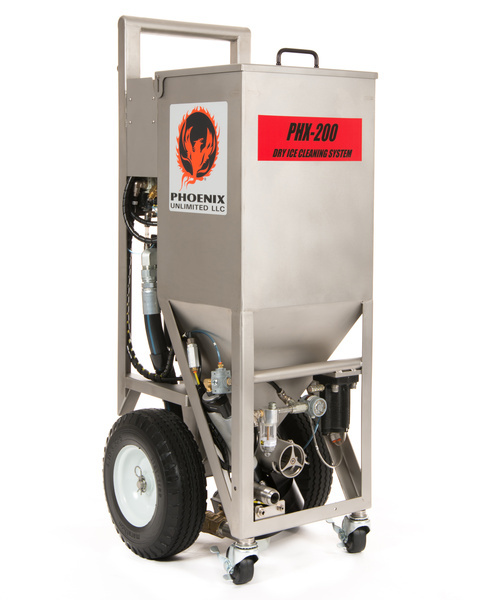 The PHX-200 also has higher rated plumbing and regulators and an actuated ball valve to control blast flow. 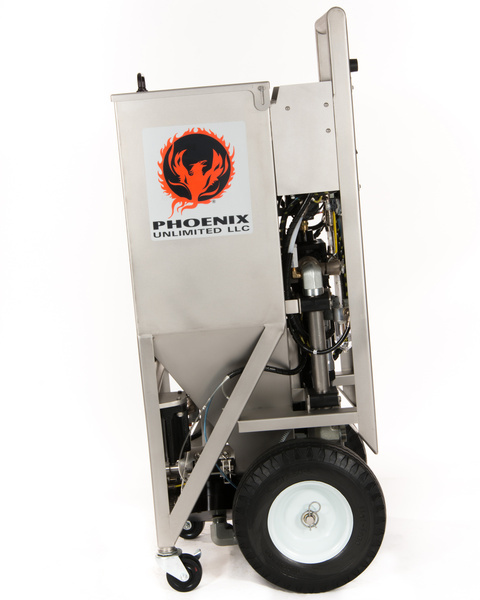 If you are looking for a high pressure, heavy duty blasting machine, look no further than the PHX-200! 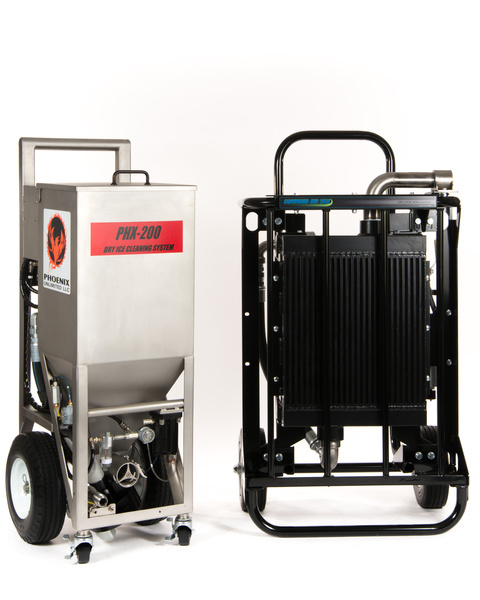 Inlet Air Temperature: 140°F (60°C) maximum.